We are proud to present the results of FairMail’s third annual Social Impact Measurement. Below you can read which actual impact you are creating by sending FairMail’s fair trade greeting cards and purchasing our fair trade images. 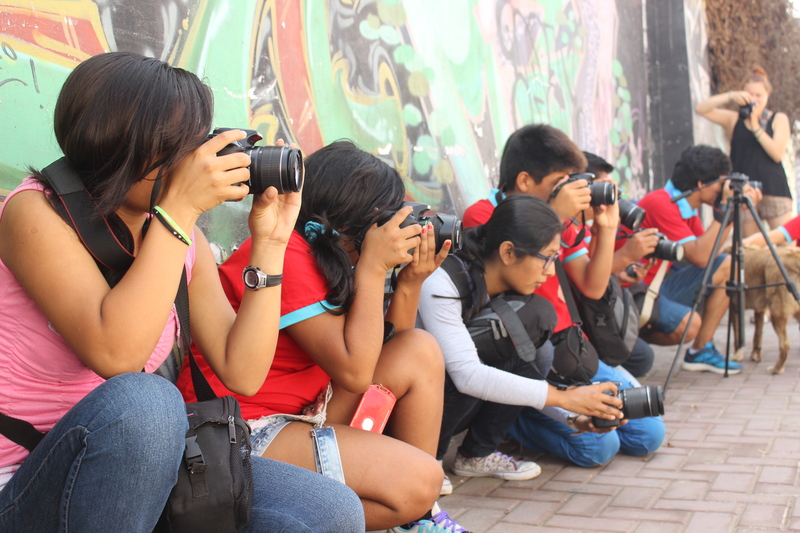 In 2015 the 55 teenage photographers earned a total of 23.601 euro to invest in their own education, their families’ housing and medical care. Money they earned while learning photography for free in the self-funded “youth centre” that FairMail is for them. This means that one year before FairMail’s 10th anniversary we passed the 165.000 euro mark in total direct earnings by all of the teenagers. 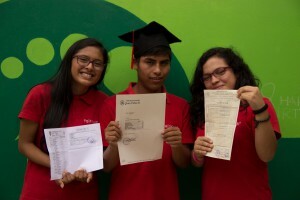 The top earning teenagers in 2015 were Anidela and Kzanier from Peru, with 1.666 and 1.132 euro in year earnings last year. Anidela (18) is presently studying business administration at a private university and Kzanier (16) is saving to start studying graphic design at a private university next year after he finishes high school. 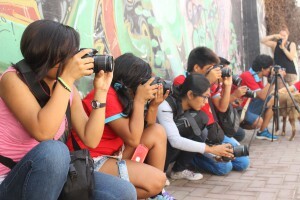 Their earnings are crucial for the teenagers to be able to fulfil their dreamed future plans. But money alone is no guarantee, as success also depends on their own perseverance, family situation and personal motivation. Due to a mix of these reasons, 22% (21% in 2014 and 20% in 2013) of the teenagers who started FairMail did not make it to the retirement age of 19 years old. These 12 teenagers either lost motivation along the way, were drawn back into problems by “old friends” or faced such big personal problems that they could not continue with FairMail. In 2015 FairMail had to say good bye to 2 teenagers because of similar reasons. Both are still getting money from the sale of their cards to finance their current education. One of them is still in high school, the other one is studying to become an accountant. 47 of the 55 kids that started FairMail either finished or are still in secondary school (that was also the case in 2014 with a similar 85% and 86% in 2013). Not bad considering the background of the teenagers FairMail works with. Also if you compare the percentage to the national average of 42% of all Indian teenagers who finish high school (or 62% of the poorest quintile of Peruvian teenagers finishing high school). Unfortunately 8 FairMail teenagers did drop out of high school due to a mix of reasons like having to earn money to supplement the family income or lack of motivation for school. Of the FairMail teenagers who finished high school, 59% (52% in 2014 and 40% in 2013) has continued on to (pre-) university. It seems like the will for academic education is becoming more and more contagious in FairMail’s positive group atmosphere. 38% (43% in 2014 and 47% in 2013) of them have continued with some sort of vocational training. In total that adds up to 97% of FairMail teenagers continuing with learning after finishing high school. We are very proud of this nearly 100% score! Only 1 teenager decided not to continue studying anything at all after finishing high school. He started his own business (buying and selling of livestock) which doesn’t require vocational training as his father-in-law taught him the necessary tips and tricks. So we are also very proud of him! Not all is success though. One (17% in 2014 and 22% in 2013) of the former teenagers has a rather bad situation having to perform household chores and one teenager has passed away due to illness. Also we lost 12 teenagers along the way, dropping out of FairMail before reaching the retirement age of 19. We continue to sell their cards though and try to keep in contact with them to help however we can. Luckily all 12 of them are doing pretty well at this moment, either still being in school, investing in their own business or working. Visual showing FairMail’s input, activities, output, outcome and impact in 2015. 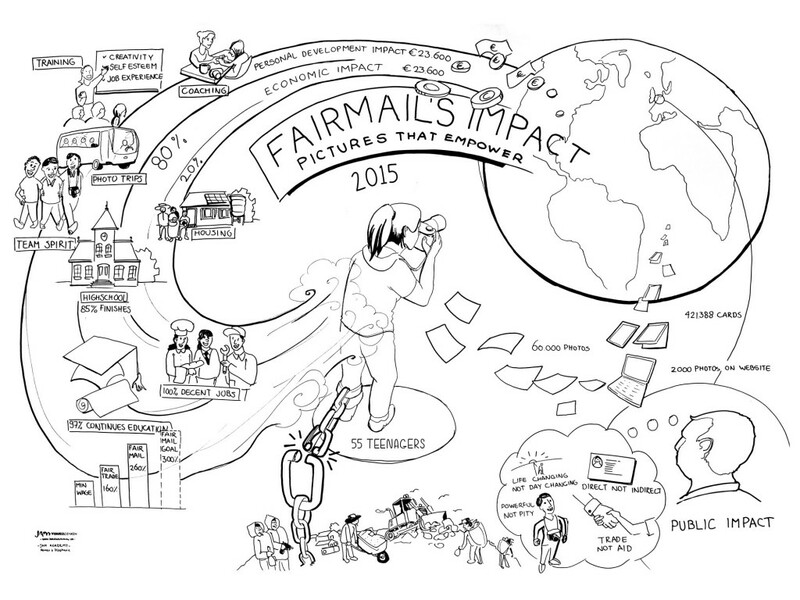 Visual showing FairMail’s input, activities, output, outcome and impact in 2015. Click to view large version.